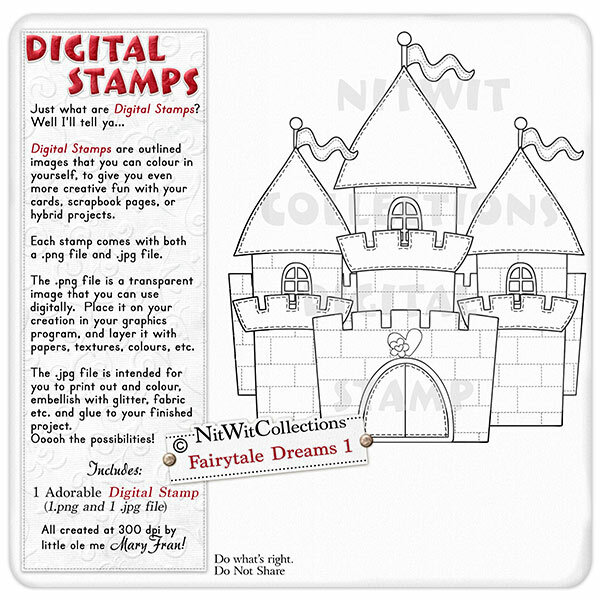 Fairytale Dreams Stamp 1 is a fairy princess castle. The bricks are highlighted, the flags are flying, and all it needs is your creativity to make it look just right. The choice is yours with this digital stamp. A great creative addition for your card making, scrapbooking, and hybrid scrapbooking projects. 1 Castle Stamp (2 files - 1 image is a .png file and 1 is a .jpg file format).